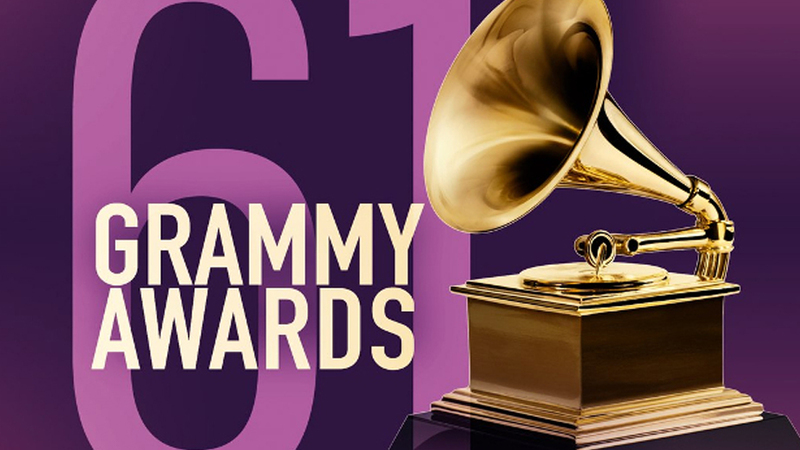 Sony Music Entertainment artists representing a diverse range of genres from across the company’s labels were recognized for their outstanding achievements tonight at the 61st Annual GRAMMY Awards, held at the Staples Center in Los Angeles and hosted by 15-time GRAMMY winner Alicia Keys. A number of Sony Music artists took the stage for live performances. Camila Cabello opened the ceremony with a colorful Broadway-inspired rendition of “Havana” featuring special guests Ricky Martin, Young Thug and J Balvin. Miley Cyrus joined Shawn Mendes for his hit “In My Blood”. H.E.R. delivered her soulful funk on “Hard Place”. Host Alicia Keys sat down for a music interlude, introducing her segment by playing “The Entertainer” on two pianos, then serenaded “Killing Me Softly”, “Unforgettable”, “Lucid Dreams”, “Use Somebody”, “Doo Wop (That Thing)”, “Boo’d Up” and “Empire State of Mind”. Travis Scott delivered “No Bystanders” and “Stop Trying to Be God” with James Black and Earth, Wind and Fire. Chloe x Halle performed “Where Is The Love”. The night also featured a number of unique collaborations and GRAMMY moments. A host of artists paid tribute to MusiCares Person of the Year honoree Dolly Parton. Dolly performed “Here You Come Again” with Kacey Musgraves and Katy Perry; “Jolene” with Miley Cyrus; “After the Gold Rush” with Maren Morris and Miley Cyrus; “Red Shoes” with Little Big Town; and “9 to 5” with the full ensemble and the crowd on its feet. Jennifer Lopez paid tribute to Motown performing a show-stopping medley with Alicia Keys, Ne-Yo and Smokey Robinson. Congratulations to all the following Sony Music winners!